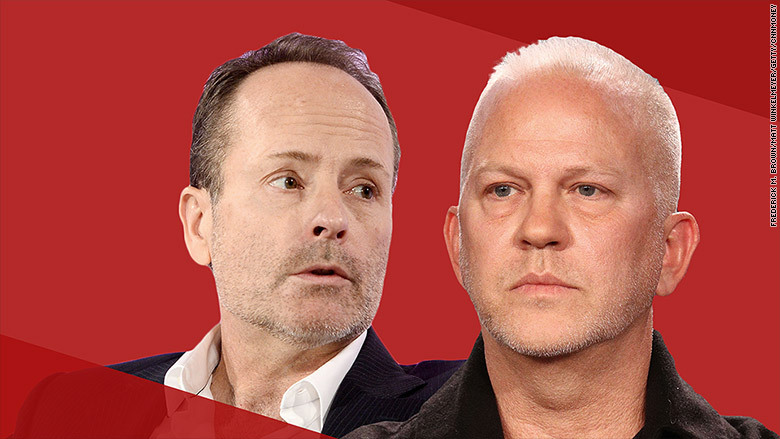 FX John Landgraf (Left) took a veiled swipe at Netflix and its recent poaching of top talent, including Ryan Murphy (Right). FX Networks CEO John Landgraf said the TV industry is undergoing "an inflationary period," one that will continue to see growth in the number of original series despite the strained economics that the business faces. In the past, the FX executive has expressed concern about "peak TV," suggesting that networks would eventually be forced to cut back on production in response to a glutted marketplace. On Friday, speaking at the TV Critics Association tour, he amended those thoughts, saying he anticipated a "continued profusion of content," with streaming services scaling up their efforts and HBO planning to increase production under its new owner AT&T (T), which also owns CNN. Landgraf took a veiled swipe at Netflix (NFLX) and its recent poaching of top talent. The service stunned the network in February by signing Ryan Murphy -- who has produced multiple shows for FX, including "American Horror Story" and "American Crime Story" -- to an exclusive deal, reported to be worth $300 million. That followed another big-money pact with "Grey's Anatomy" creator Shonda Rhimes, who had been aligned with ABC Studios. Landgraf noted that FX's programming approach was not just about "snatching up established talent from our competitors" but developing it "from the ground up." After the session, Landgraf told CNN that he is "pro-talent," and happy to see people like Murphy and Rhimes being rewarded for their abilities. He also said, "I don't believe that anybody can corner the market" on talent. Nevertheless, Landgraf conceded that it is challenging facing a competitor like Netflix whose model doesn't seem predicated on making a profit in the near term. During the session, he said that networks like HBO and FX "can't get infinitely bigger without diffusing the brand," while adding in regard to Netflix, "Their business model is to be all things to all people." FX's regularly updated tally of scripted programming has been a much-watched barometer of whether original TV programming is becoming saturated. Landgraf said there have been 319 scripted series during the first half of 2018, a 5% increase over the corresponding period last year, with increased output by streaming services and premium channels offsetting declines in broadcast TV and basic cable. Landgraf was asked separately about whether FX would ever work again with Louis C.K., the comedian who produced and starred in the acclaimed series "Louie," before that relationship ended after sexual-misconduct allegations. The executive said that such a reconciliation would "depend on the women" who had been involved, and that women would be defining the parameters as the #MeToo movement goes forward. FX unveiled several new projects, including a 10-part limited series based on James Clavell's novel "Shogun," which was turned into a landmark miniseries starring Richard Chamberlain in 1980. The network also announced a fourth season of its hit anthology series "Fargo" that will star Chris Rock, set in the 1950s. Landgraf said the network is "just a passenger, but a happy one" as Fox's entertainment assets await the close of their sale to Disney (DIS).